This new tour focuses on air operations in Germany during the Second World War. Our tour will begin in Prague and end in Amsterdam. We will examine the famous Dambusters' Raid with a stop at Möhne Dam. 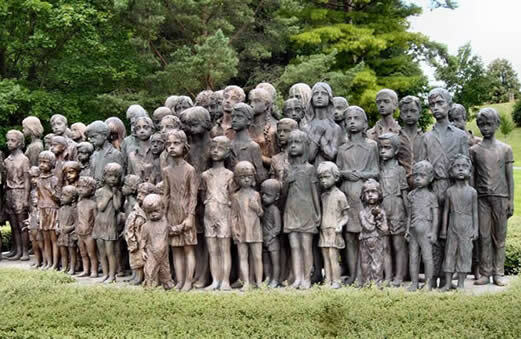 In Dresden, we will hear stories of the fire-bombings and in Berlin, we will look at how the bombing raids impacted the citizens of the then Nazi capital. 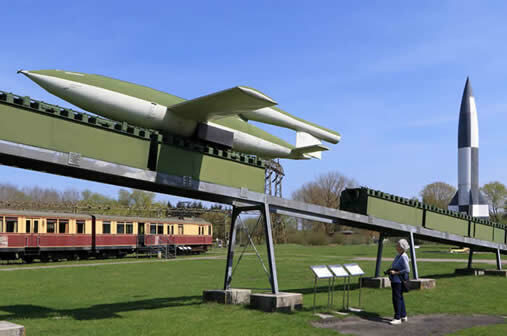 We will cross the border into Poland to tour Stalag (Luft) III which which was featured in the film ‘The Great Escape.’ On the Baltic Sea, we will tour Peenemünde where Wernher von Braun’s team developed the V-2, the world's first long-range guided ballistic missile. We will tour Himmler's SS Wewelsburg Castle and Colditz Castle, the famous POW camp for “incorrigible” Allied officers. 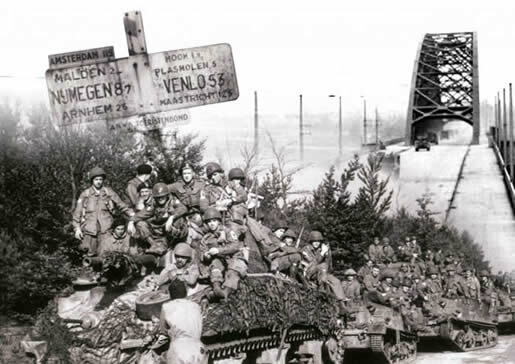 On our itinerary, we visit two Luftwaffe museums in Gatow and Hanover, and in the Netherlands we will visit Arnhem's "A Bridge too Far." Popular Historian Guide Bill McQuade and guest Historian Ed Bearss will accompany us on this exciting program. Individual departures from the U.S. for Prague, Czech Republic. (Note: we will reserve a block of rooms for those who wish to arrive one or two days early in Prague. 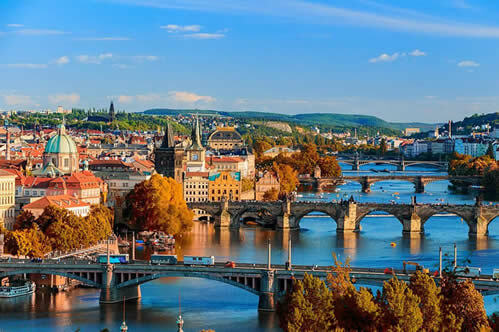 We will also arrange an optional tour of Prague.) Note: Staff (Ed Bearss & Marty Gane) plan to fly to Prague two days early. We will post their flights shortly. Individual arrivals in Prague. Join staff and fellow travelers at this evening’s welcome dinner. 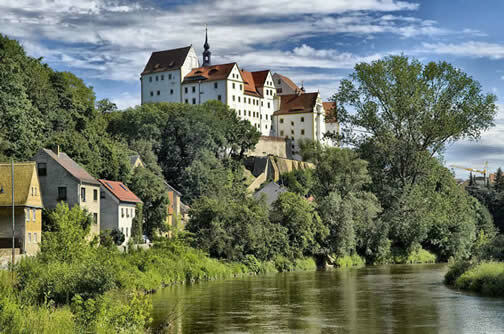 This morning, we tour the famous Meissen Porcelain factory and continue to Colditz Castle to visit the POW camp for “incorrigible” Allied officers who had repeatedly escaped from other camps. 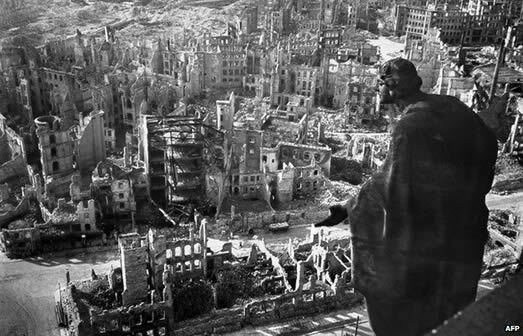 Upon our return to Dresden, we will complete our tour of WWII sites and Bill's discussion of the Allies’ strategy, the German air defenses, and the destruction and the rebuilding of this beautiful city. 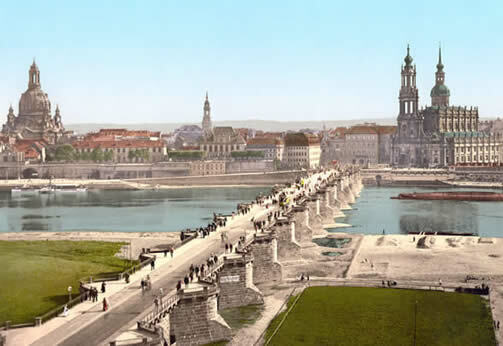 Today we depart Dresden for Berlin. En route, we will cross into Poland to tour Stalag Luft III, the POW camp which held captured Allied Air Force personnel. We will see the museum’s extensive collection of artifacts and a large scale model of the original camp. We will walk the grounds of the actual camp site, including Hut 104 where the Great Escape of 76 RAF prisoners, began in March 1944. Only 3 men made it home and 50, who were recaptured, were murdered on Hitler’s command. Today we drive south to historic Wewelsburg Castle, site of Himmler's SS school and cult site. Following the Nazi Regime's "final victory," Himmler had planned to make his Grail Castle, the "Center of the New World." We will tour the castle and its museum and then continue to the Möhne Reservoir where we will examine Operation Chastise, the famous Dam Busters air raid of May 16-17, 1943. 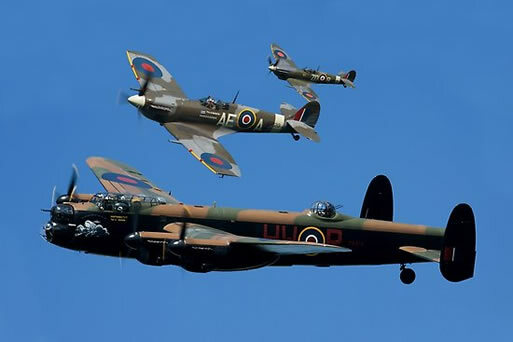 RAF 617 Squadron was formed just 7 weeks prior to the raid devised to attack the great dams of Germany's Ruhr industrial valley. Led by Wing Commander Guy Gibson, a veteran flyer with over 135 missions to his credit, the squadron did extensive night and low-altitude (60 ft!) flight training, even as the "bouncing bomb" was still being designed by British engineer Barnes Wallis. We will visit one of their targets, the Möhne dam, that supplied water to the steel producing plants near Dortmund. Note: American staff, Ed Bearss & Marty Gane plan to fly from Amsterdam to Washington on September 28 or 29. We will post flights shortly. BATTLEFIELD GUIDE: We are delighted to announce that battlefield guide Bill McQuade, will accompany us again through Germany as our expert guide. 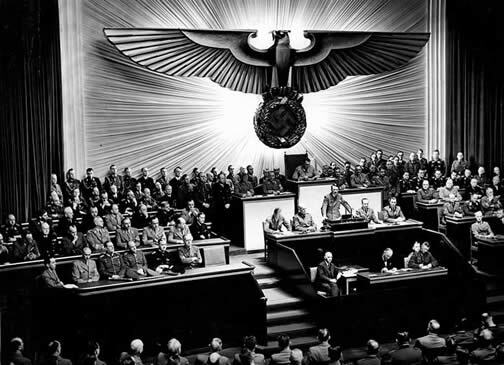 Bill led our 2018 Third Reich Germany tour to rave reviews. Bill says that his life long passion for military history was first sparked on his 10th birthday by a present from his grandmother – a book by the RAF hero Guy Gibson entitled, “Enemy Coast Ahead.” Bill was stationed in Germany during the Cold War when he served with the Royal Scots Dragoon Guards, an armoured regiment. This posting provided Bill the opportunity to visit WWI and II battle sites, many of them still in their war time condition. Upon discharge from the Army, he began leading battlefield tours and soon found himself in high demand by documentary film makers. Acknowledged by many as one of the finest and most experienced battlefield guides currently operating tours, Bill leads tours of Third Reich Germany 6 to 8 times a year. Bill is a founding member of the Guild of Battlefield Guides. Prices will not include airfare, however, we are happy to assist you with flight arrangements. 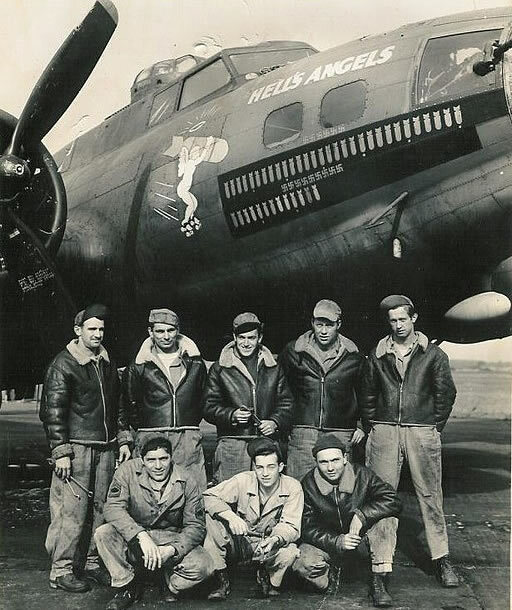 We will post staff flight details shortly in case you would like to book seats on the same flights as Historian Ed Bearss and Tour Manager Marty Gane.